Tuesday 27th January was Holocaust Memorial Day and so it’s very fitting that the new book by Vanessa Curtis celebrated its publication on that day. 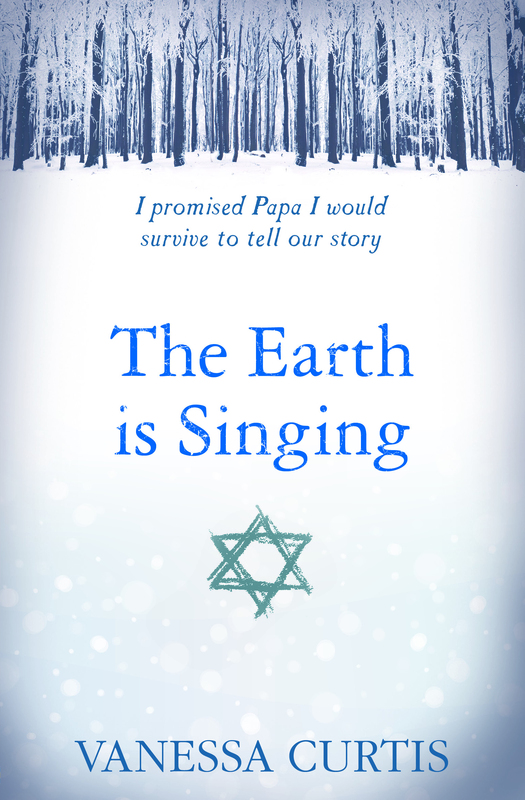 The Earth Is Singing tells the little-known story of the Jews of Riga, capital of Latvia, which was controlled by the Russians at the beginning World War Two, but was then ‘liberated’ by the Nazis, to disastrous consequences for many of its residents. Narrated in first person by the teenage Hanna, this is a modern reimagining of a historical massacre that, for me, recalled The Diary of a Young Girl by Anne Frank, as well as scenes from Schindler’s Ark. Despite Vanessa’s previous YA novels, Zelah Green and The Haunting of Tabitha Grey, being very well received, this was the first book of hers I’d read and I’m now keen to make it a habit. I was impressed by the naive but honest voice of Hanna as she narrates the story, the gradual, sinister building of tension and the way Curtis balances Hanna’s personal story with the harrowing true events taking place around her. Hanna is fourteen at the beginning of story, with a head full of ballet, fun and her new boyfriend, the slightly older Uldis, although she is clearly troubled and anxious about the fate of her father, who has been taken away by the Soviet authorities. The family are making do with reduced circumstances since then, but there is far worse to come when gun fire and explosions announce the arrival of the ‘liberating’ Nazis. Soon, attitudes towards Hanna and her family begin to shift as a new nationalism takes hold. The historic synagogue is destroyed, Hanna finds herself unwelcome at her ballet school, the swimming pool, the park… Curtis effortlessly creates the atmosphere of isolation, fear and claustrophobia that must have abounded by using Hanna’s voice as our route into the situation. Hanna, appropriately for her age, has an innocent, even naive narrative voice. She reports events as she finds them, without sentiment, irony or adding her own spin. This means she feels quite different to most present-day YA narrators, which not all readers may enjoy, but I felt it worked perfectly given the historical setting, and also allows Curtis to portray shocking, even brutal, events in a way suitable for readers of around 11 and upwards. Occasionally, I realised that I knew what was happening when Hanna had not comprehended – perhaps couldn’t bear to face – the horror of the situations she was facing.That only serves to ramp up the tension, and the hope on the reader’s part that Hanna might somehow escape the fate of so many of the people around her. I’ve said Hanna is a relatively naive narrator but she’s still a teenager, and Curtis makes sure that narrative honesty extends to herself as well. Hanna’s a rounded character, growing up swiftly into a young woman with responsibilities towards her mother, grandmother and others, in a desperate situation, but she is also struggling to cope with those changes. She is conflicted, missing her friends at the ballet school, unable to see Uldis, who has joined the national police, wishing to see her father again, and at least to some extent blaming her mother for her Jewish status. I found her totally believable as a real teen, and found myself rooting for her, every step of the way. Clearly, Vanessa Curtis has spent just the right amount of time researching events in Riga – the place and facts are all in there without the book feeling bogged down by exposition. The writing style is clear, the plot line well structured and the level of horror and emotion perfectly judged, so as to move and engage the reader. I was thrilled to have the chance to chat to Vanessa about the process of writing about such a difficult topic, on the February YA Edition podcast, and I hope you’ll find that interesting to listen to. I’d recommend The Earth Is Singing to anyone interested in reading historical YA. While there are many books out there which deal with World War Two, this, for me, sits along the best ‘classics’ of the genre in its sensitivity and quality. Thank you to Usborne for the advance review copy, to Vanessa Curtis for appearing on the podcast, and to Liz and the Usborne team for arranging it.